This whimsical fabric features a variety of roosters in full preen on a background of blue. This great rooster pattern can be used in almost any decor but will bring a special touch to a french country setting. Cover features an envelope back. 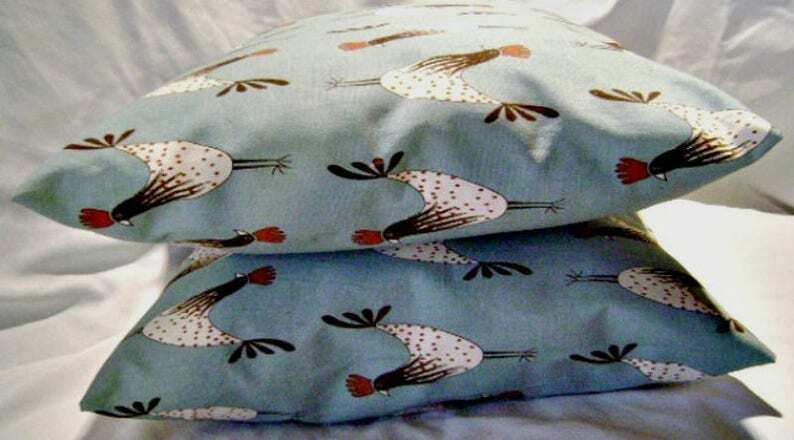 Pillow insert is not included but can be purchased at any craft, fabric, or discount store. This pillow cover will fit over an 18” x 18” insert. 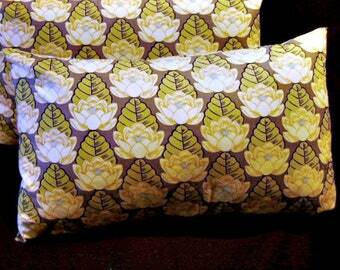 We recommend wrapping your pillow inserts in a layer of batting for added loft and fullness. Dry cleaning is recommended. Note: pillow covers are made smaller than the recommended insert in order to achieve a tight, neat fit and appearance.